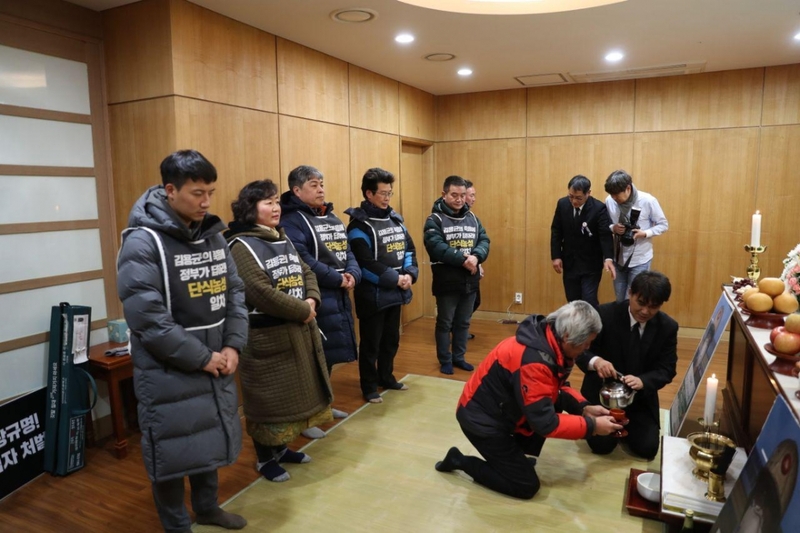 The South Korean government has announced today a series of measures in response to the tragic death of 24-year-old power plant worker, killed in an industrial accident resulting from the “outsourcing of danger” and lack of safety measures at Taean Power Plant. 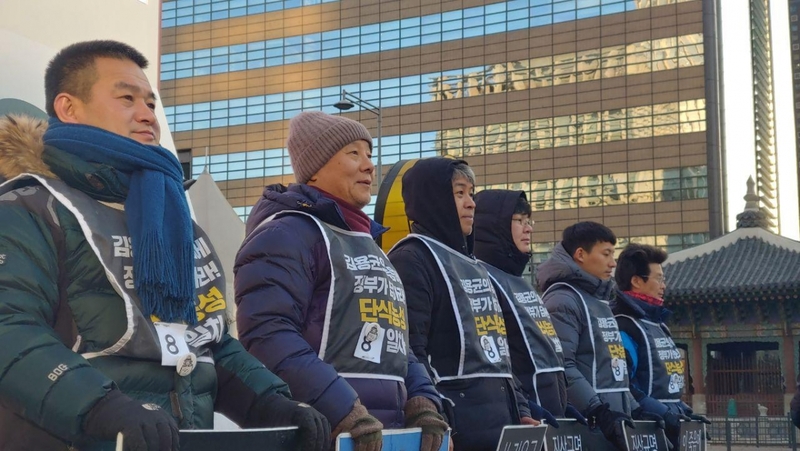 5 February 2019 - Two weeks after the leaders of the “Civil Society Coalition for Justice for Precarious Young Worker Kim Yong-gyun” began their hunger strike, and 58 days after his death, the government has announced several measures including a revision of the Occupational Safety and Health Act, which applies to all workers, and will be revised for the first time in 30 years. The KCTU Korean Public Service and Transport Workers’ Union (KPTU) and civil society coalition who consulted with the government in developing the response were able to win recognition of the principles of ending the outsourcing of danger and accountability of the main company in the case of accidents involving subcontracted workers. While the announced measures fall far short of the demands that the civil society coalition, power plant workers and Kim’s family were making, they do represent progress in relation to the original position and are a first step towards stopping the drive towards fragmentation and privatisation of the power industry and achieving safe working conditions for power plant and all precarious workers. Announced measures include permanent employment for Kim’s co-workers, but not directly by the five public power companies, but by a separate public corporation. The main company (Korea Western Power) has agreed to ensure that subcontracted workers are payed the wages originally agreed to - thus eliminating intermediary exploitation - and to improve working conditions. A special committee will also be established to investigate the causes of Kim’s death. However, no concrete plan for improving the situation of power plant light maintenance workers has been put forward, despite the fact that these workers experience an even higher accident rate. The KCTU Korean Public Service and Transport Workers’ Union (KPTU) and civil society coalition remain committed to putting an end to the “outsourcing of danger and death” and express gratitude to all KCTU members, workers, members of the public and the international community who joined and supported them in this struggle. Read the full KPTU Statement. Stop the Outsourcing of Danger! Justice for Kim Yong-gyun! PSI is calling on all affiliates to support the LabourStart campaign calling for justice for Kim Yong-gyun, a 24-year-old subcontracted worker killed after getting stuck in a coal conveyer belt at the Taean Power Plant in South Korea. 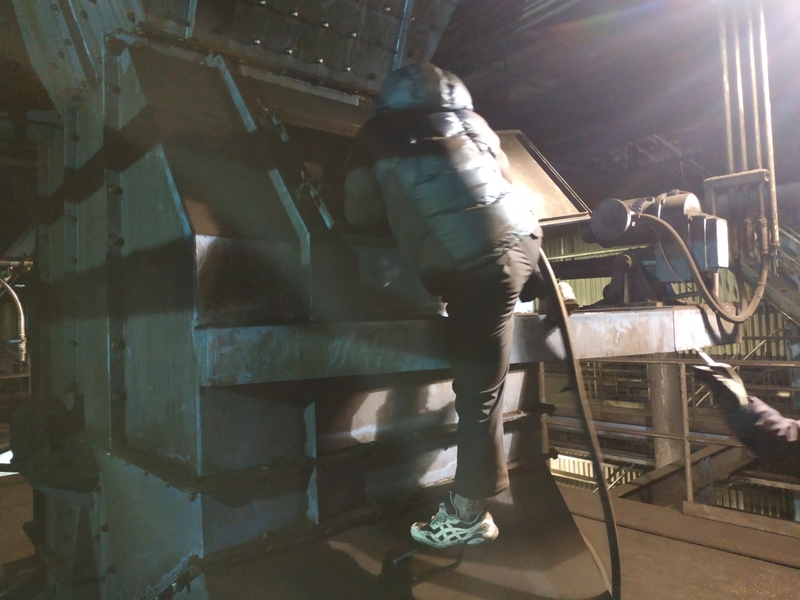 Kim was working alone in the dark, doing extremely dangerous work including cleaning coal out from under the fast-moving conveyer belt. According to the health and safety rules in the manual, Kim should have been working in a team of two. However, excessive cost-cutting following the outsourcing of power plant fuel operations and maintenance means that this work is now done alone. After coming into office in 2017, the Moon Jae-in government announced plans and issued guidelines for the insourcing of subcontracted work at public institutions. However, rolling out this policy has caused problems leaving many workers like Kim and his colleagues behind. A picture of Kim participating in a simple selfie action calling for direct employment was revealed following his death, which happened only three months after he was hired. 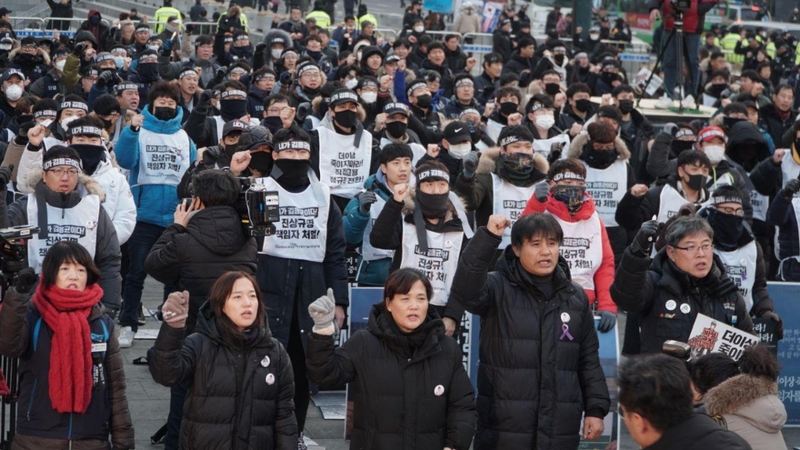 This shocking event has sparked a national movement in Korea against the ‘outsourcing of danger’ endemic in the power plant industry and throughout the Korean economy. 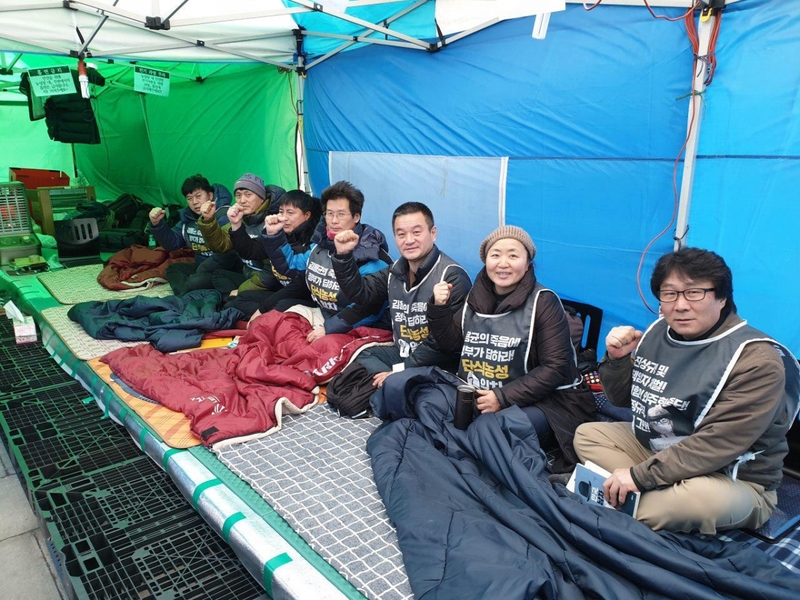 Kim’s parents are courageously leading this movement with the support of the KPTU Korean Public Service and Transport Workers’ Union (KPTU) and a coalition made up of 100 organisations. Since 22 January, the KPTU President and 5 other coalition leaders have been on an unlimited hunger-strike calling for an investigation into the incident and punishment for those responsible, safety improvements and insourcing and direct employment of subcontracted workers. The government and the parent company Korea Western Power have yet to listen. Send a protest letter calling on the government to cease the “outsourcing of danger”, carry out a special investigation into Kim’s death, make necessary safety improvements in the power plant industry and enact the insourcing policy and direct permanent employment for subcontracted workers in the power industry.